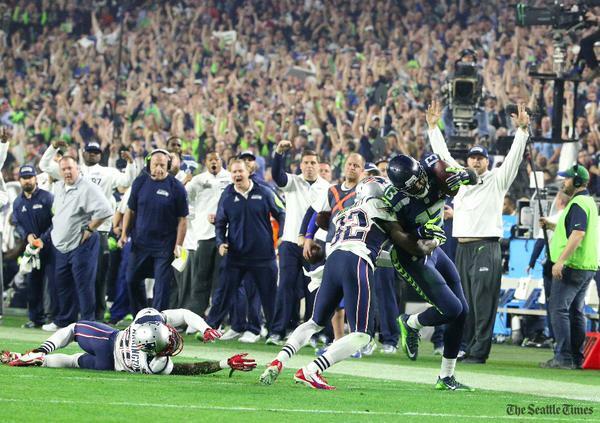 Might as well just throw to Chris Matthews every down. Brandon Browner, every consistent, with a holding penalty. Holding on Brandon Browner. This is getting out of hand. Brandon Browner, ever consistent, with a holding penalty. Patriots need some serious adjustments after this drive. Seattle rolling. "That is a disgusting act." #Seahawks TD, Wilson to Baldwin. Seattle has scored on four straight possessions. Some serious miscommunication in the secondary. 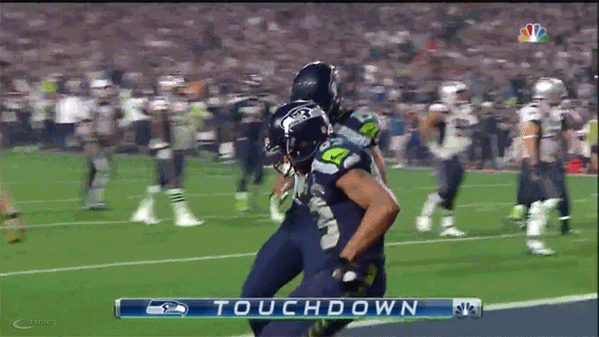 Doug Baldwin gets wide open for the score. 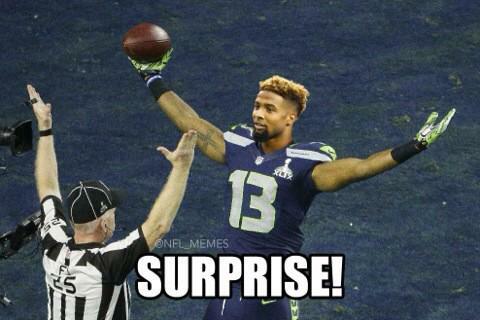 Seattle fans deafening loud right now. There is gonna be some moderate incivility in Seattle tonight! #Seahawks 24, Patriots 14 with 4:54 left in the third quarter. What did Baldwin actually do? It looked like he pretended to pull down his pants a la Randy Moss. Patriots in a bad spot now. Seahawks have scored last 4 times they've had the ball. What did Baldwin do to get the unsportsmanlike conduct penalty? I missed it. #Seahawks are relentless when they get on a roll like this. Patriots need to do something this drive to change momentum. Baldwin wide open in the end zone. Revis picked by umpire. Seattle fans are roaring. 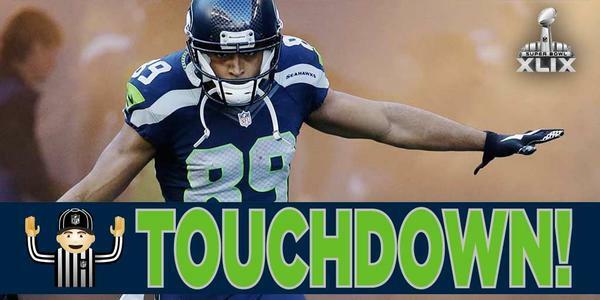 #Seahawks up 24-14. Cliff Avril is being evaluated for a concussion. Questionable to return.